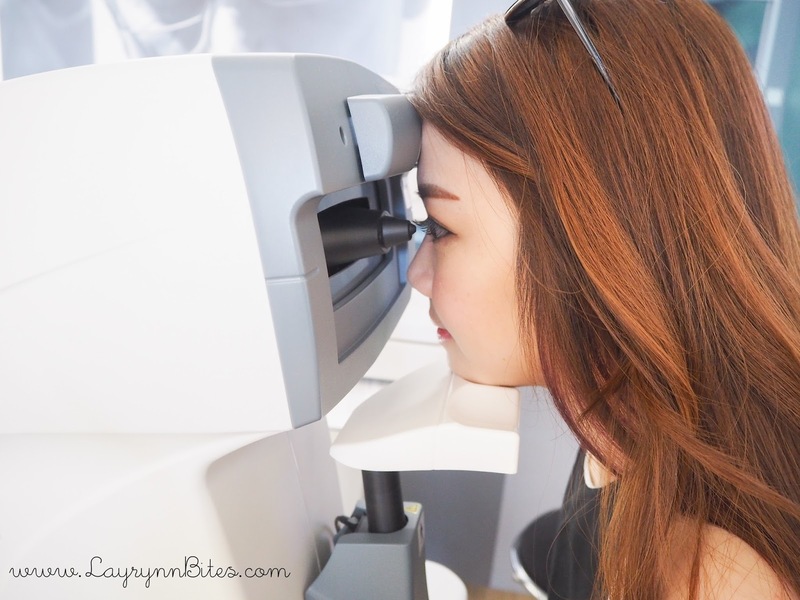 It's been awhile I've not done my eye checking due to my pack schedule and hectic life. I'm so blessed that I get an invitation to Focus Optometry have my eye checking done! 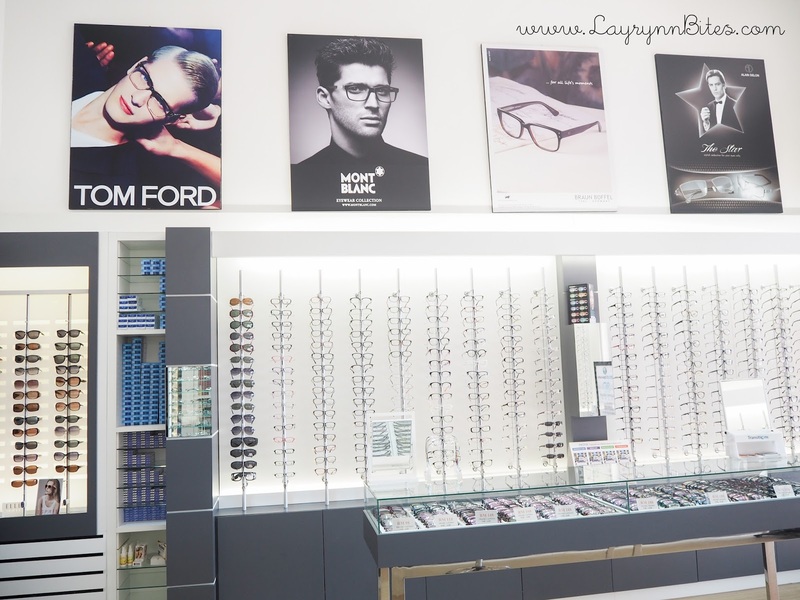 To be honest that I never went to an optic shop that I could learn so much new things about eye screening. You'll be amazed that you'll be learning new things from this post too! 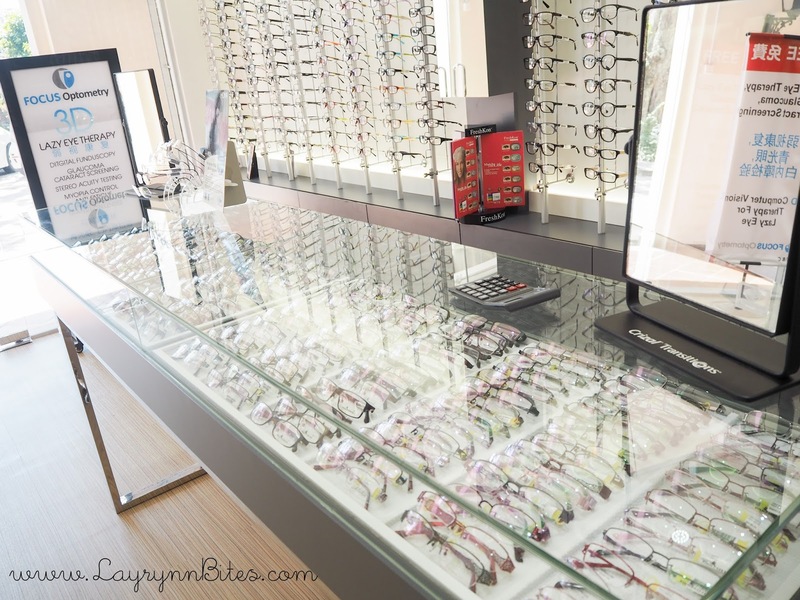 I'm so glad that I did my eye check done here as they have professional optometrist's that assist me that day! They did so many professional explanation with me about all my examinations. I'm pretty impressed that their optometrist's undergo with ophthalmologist in eye hospitals before! Which is a plus point for me when I could get a next level of eye knowledge. Their location is super strategic in Belissa Row which is super easy to find as for road idiot like me. Love their simple and modern interior design! 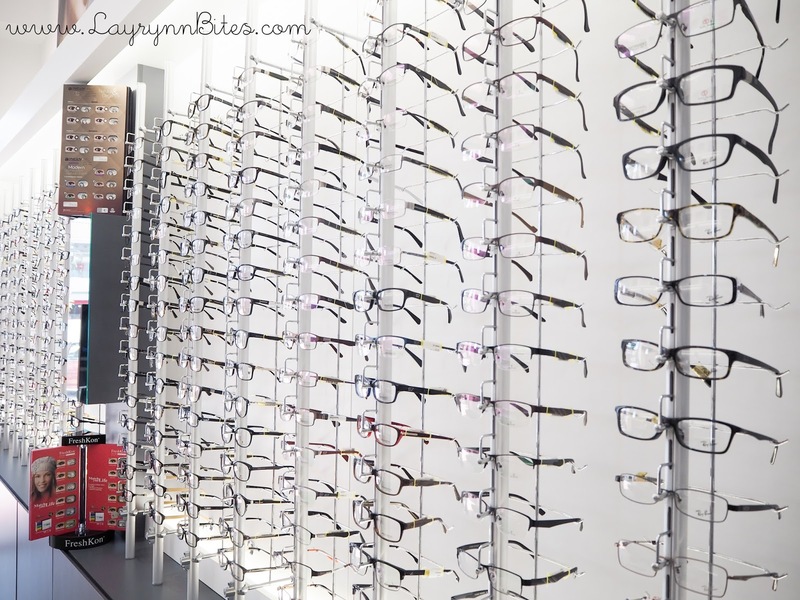 They have so many varieties of spectacles! It's so dilemma for me to choose my desire one. Finally found the one that catch my attention. 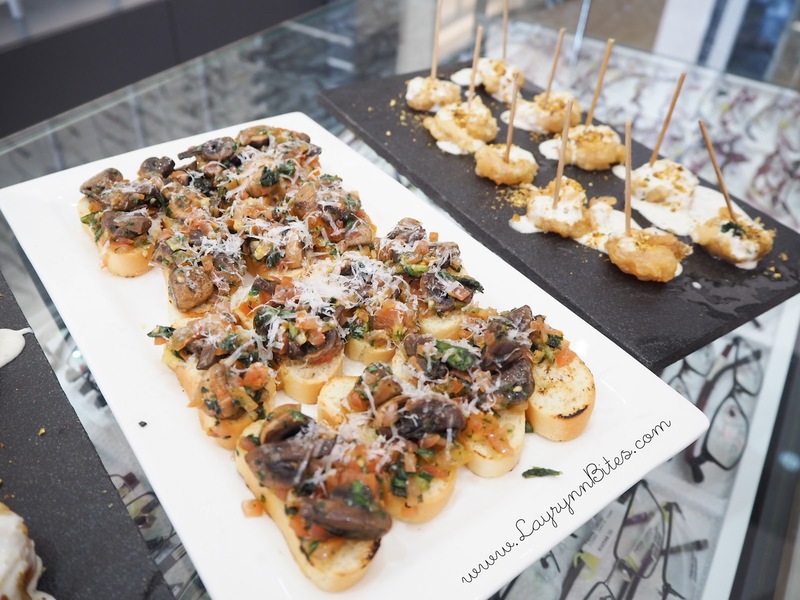 we have these awesome finger food from Markus restaurant! Yummiee! 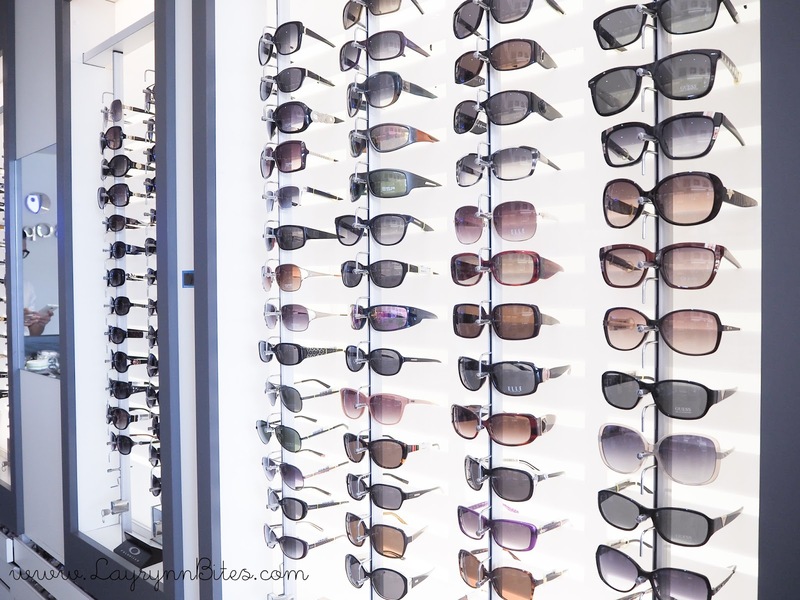 I'm surprised that Focus Optometry have so many types of screening equipment in their optometry outlet! Most of the screening's I never seen nor did experience before. K Wen is explaining more about the equipment for us before touring us around. 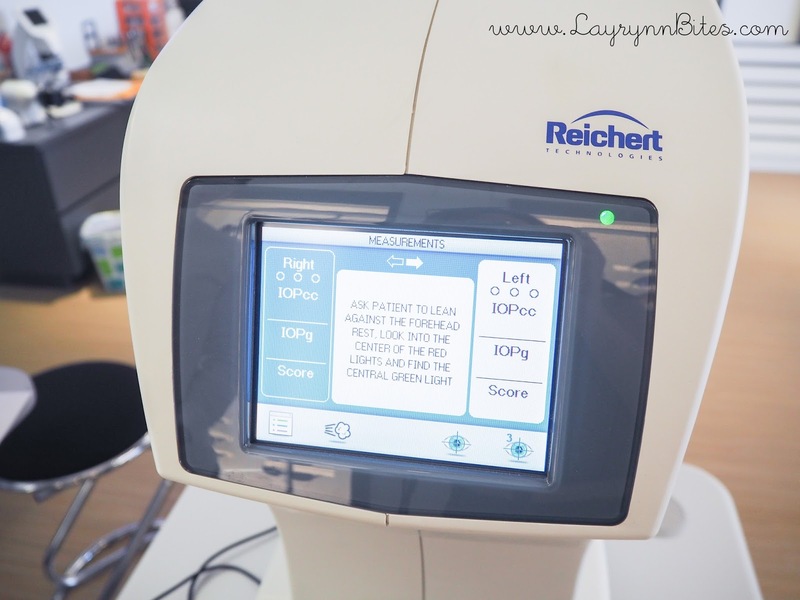 It's a device that measure our eye pressure, intraocular pressure(IOP) to check for glaucoma (青光眼). Glaucoma could lead to blindness by damaging the nerve in the back of our eye which also known as optic nerve. The buildup fluid that does not drain properly out of the eye which will lead to increase of our eye pressure. 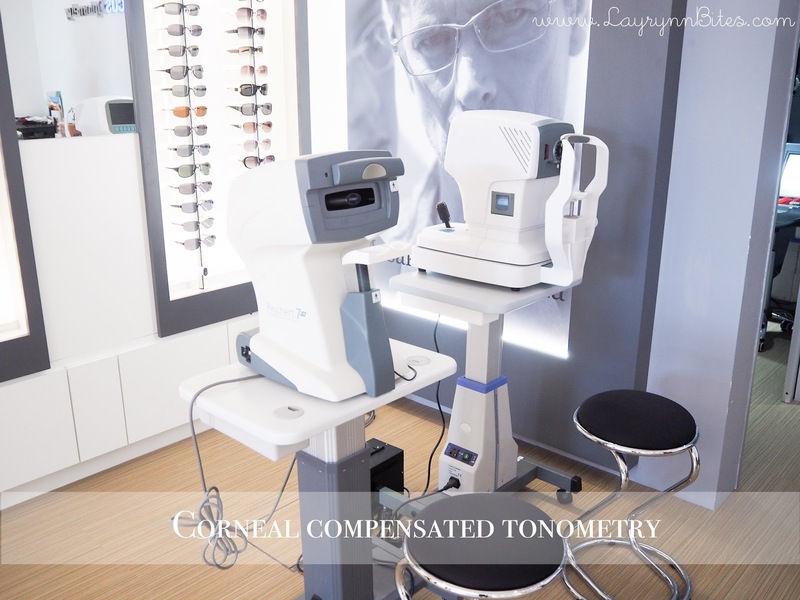 Instead of normal tonometry, Focus Optometry used this special Corneal Compensated Tonometry. The measurement error induced by this Corneal Compensated biomechanics will be more accurate compared with the normal one! 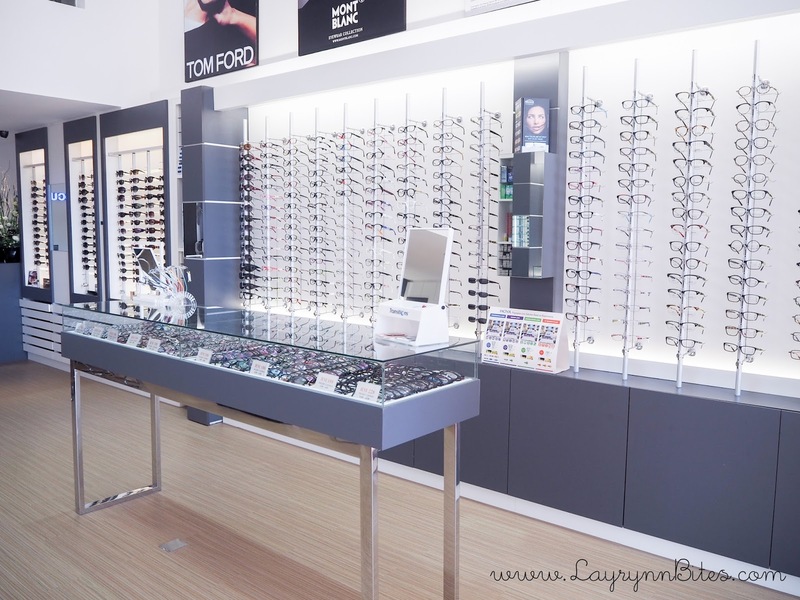 How cool is that when a normal optic shop could have such a high tech eye screening equipment! As you can see, I'm so so so nervous! By using the air-puff tonometry that will shot air into our eyes to measure our intraocular pressure. The result will be printing out and we can keep our copy! Very quick and simple screening. 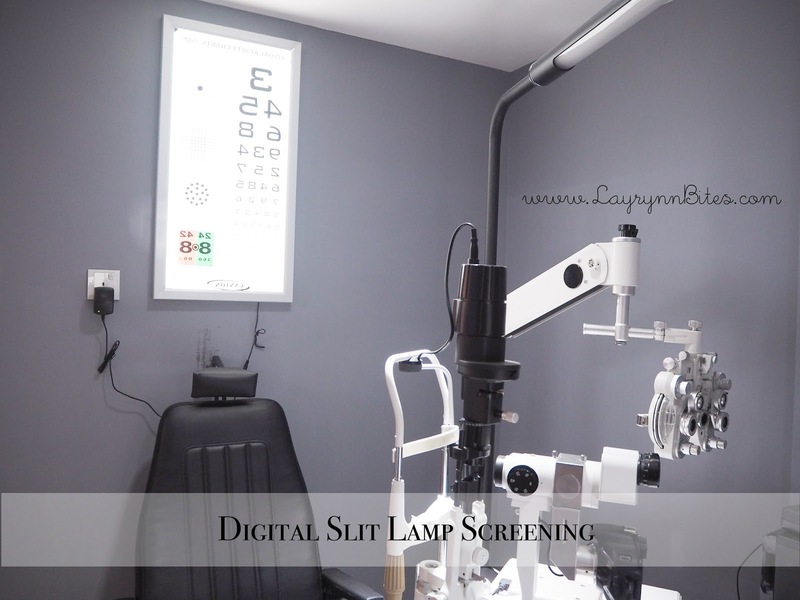 This screening is to screen and examine the structures of our eyes. It actually functions like a microscope which enable optometrist to screen any eye diseases or abnormalities of our eye structures. 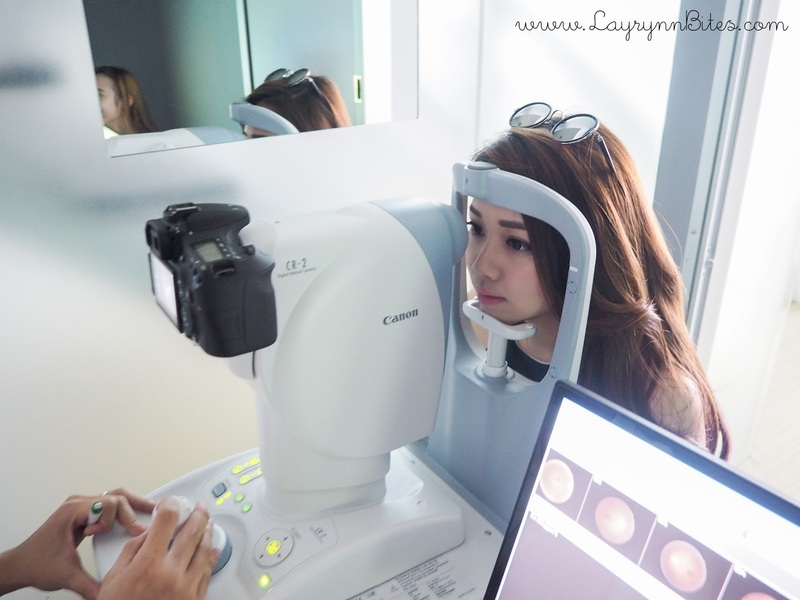 It could screen some common disease like cataract(白内障), corneal problem, eye lid problem and etc. 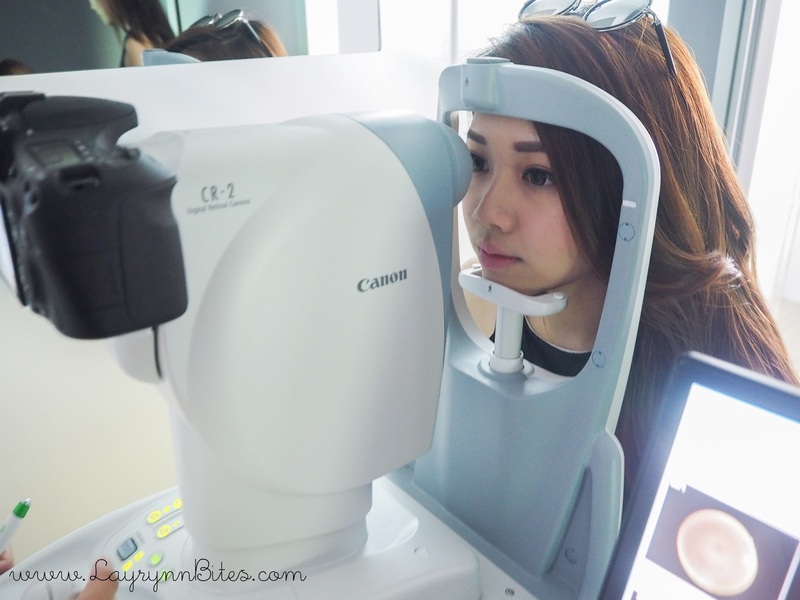 The most interesting is, it also could check our contact lens fitting. It's pretty important that to know whether our daily lens fits us well throughout these years or we should change better one. Another new knowledge gain in this store tour! It's nicole's turn for her screening! Ben is really professional and good in explaining his knowledge to us. This is the screening that I loved the most! As in my previous experiences, whenever we need to exam our fundus of eye, we need to drop eye drops which could dilate our pupil. The dilate will last for almost half a day which I couldn't do my stuff, as it blur out our eye sight. 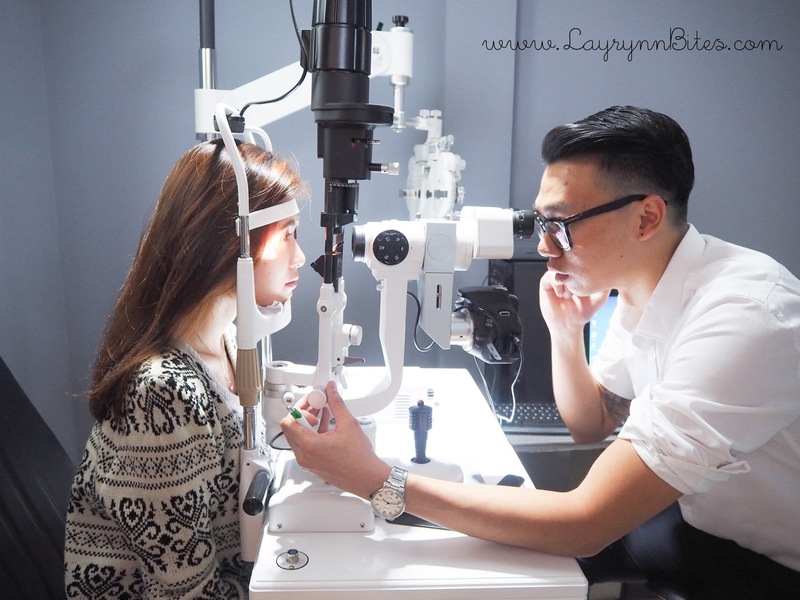 But with this fundus camera, it's NO REQUIRED to dilate our pupil to done the screening! 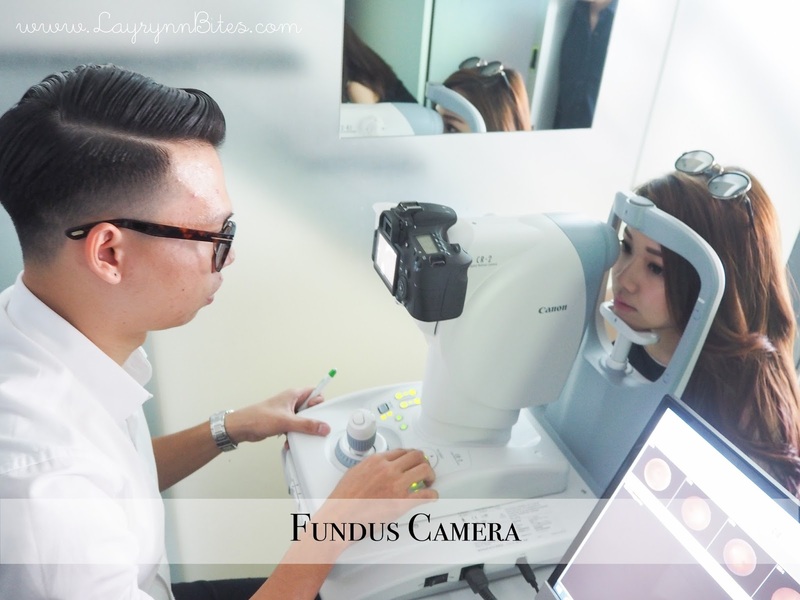 Fundus photography could enable optometrist to look through our retina for any abnormality. Macular Degeneration(AMD), Diabetic Retinopathy, Hypertensive Retinopathy and etc. 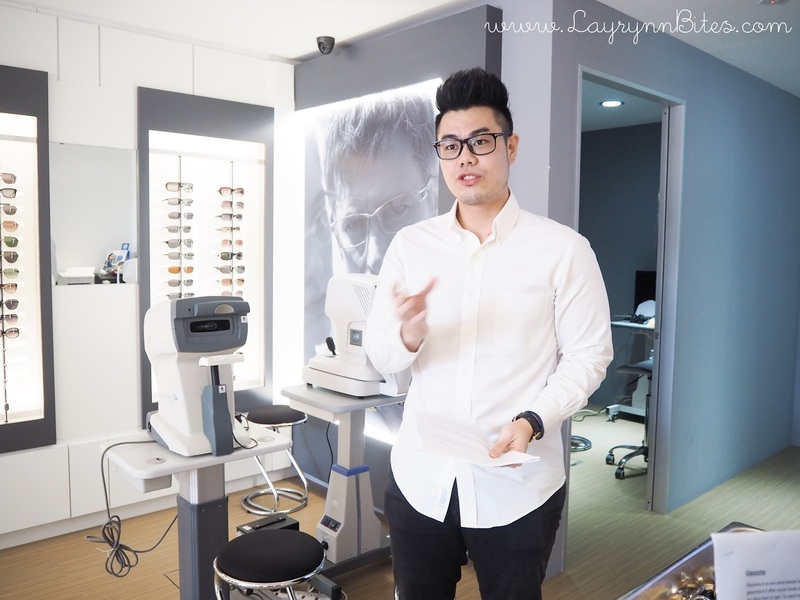 Strongly suggest our parents to did this examination to know more about their eye conditions. Using a non-mydriatic fundus camera to take a pictures of the back of our eye. You'll feel a strong snap of light while they capturing the pictures. I have so much fun in this therapy! It's really cool that it's specially design to exam the children's vision that does not develop properly in one's eye. Lazy eye also known as amblyopia, which usually starts when one eye has much better focus than another eye. As the children grow, their brain will automatically ignore the poorly seeing eye. Thus, this become lazy eye! I never knew lazy eye will be serious as we grow! 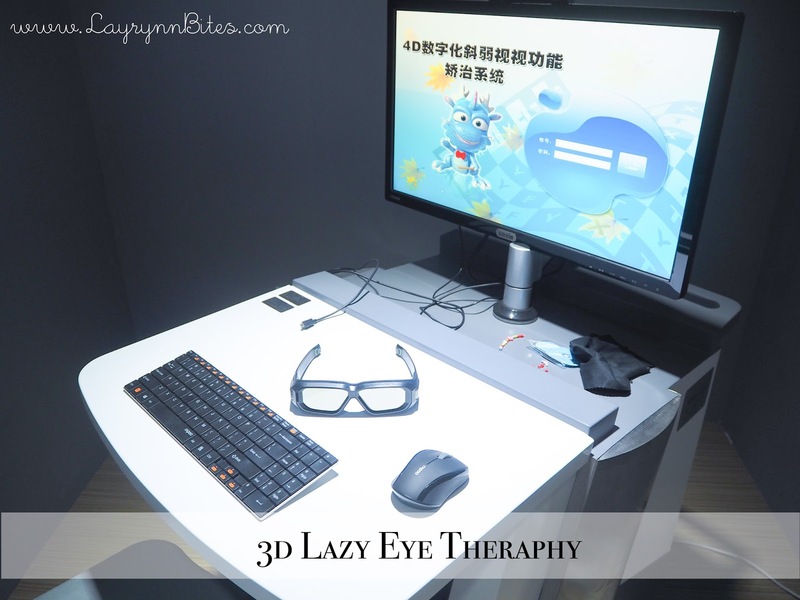 which is also the most effective way to treat lazy eye or convergent insufficiency! Be sure to bring your lil sister or brother to have their eye check for this. After touring around with the experts, it's time to catch up with the girls! Selfie time! Groupfie! Love this two pictures to the max. 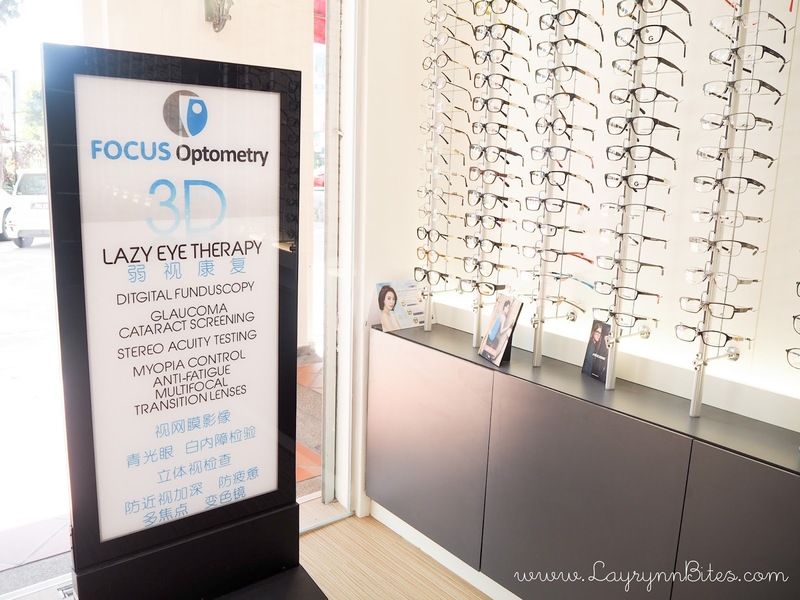 Have such a great day with Focus Optometry! 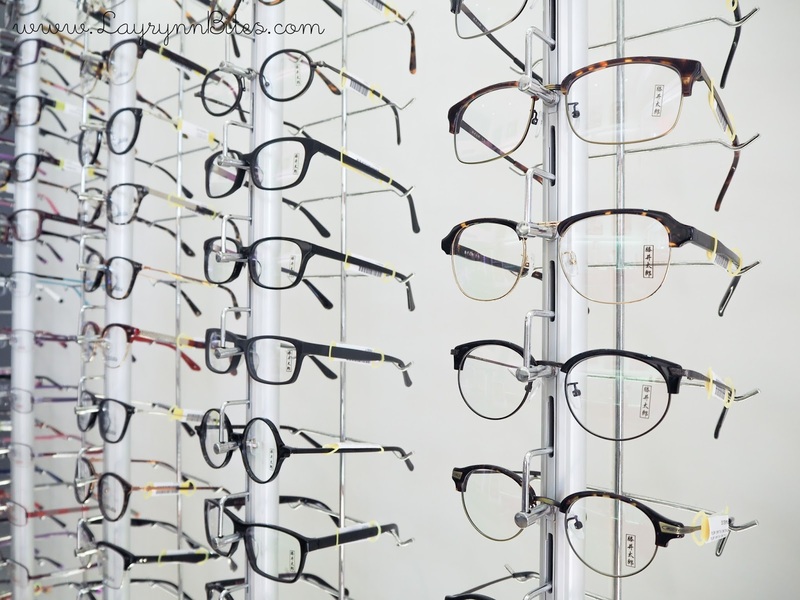 Can't wait to get my new spectacles from them next week. Burmah Road, 10350 Penang, Malaysia. Jln Dr Lim Chwee Leong, 10100 Penang, Malaysia. 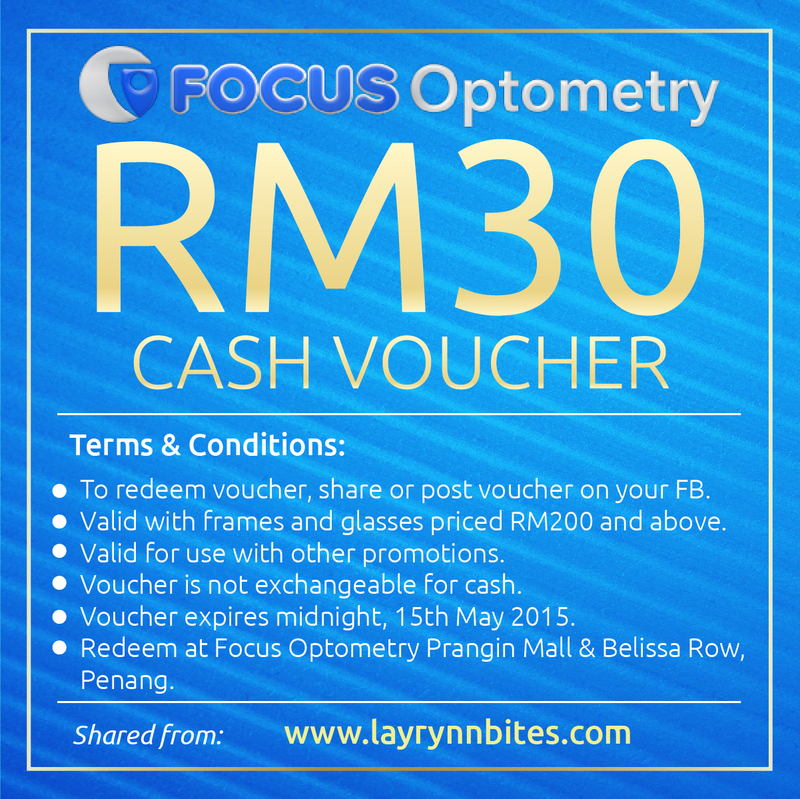 As Chinese New Year is approaching, Focus Optometry are giving away RM30 Cash Voucher to all my readers! 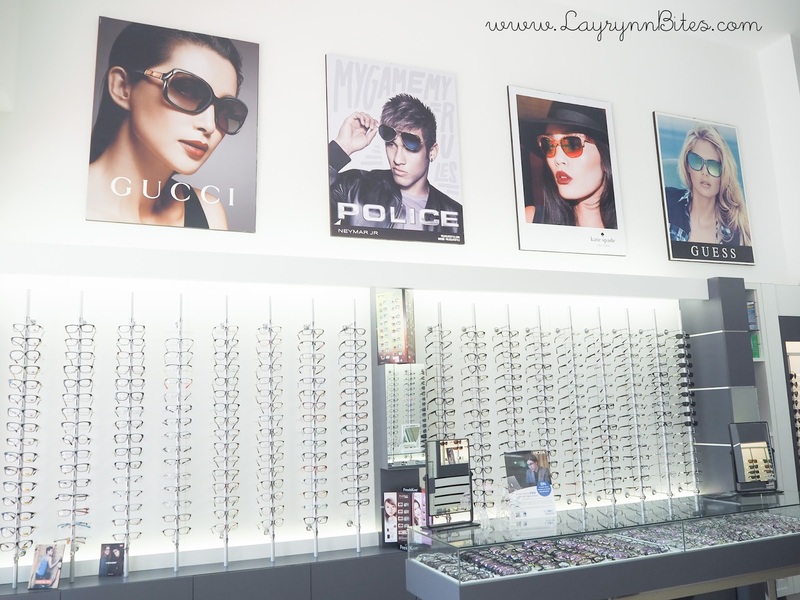 Just present this cash voucher to them and you'll get discount on frames and glasses with RM200 and above. Plus, They are also having sales until end of February which is up to 50%! By combining this voucher we get a RM30 off on top of a 50% discount! 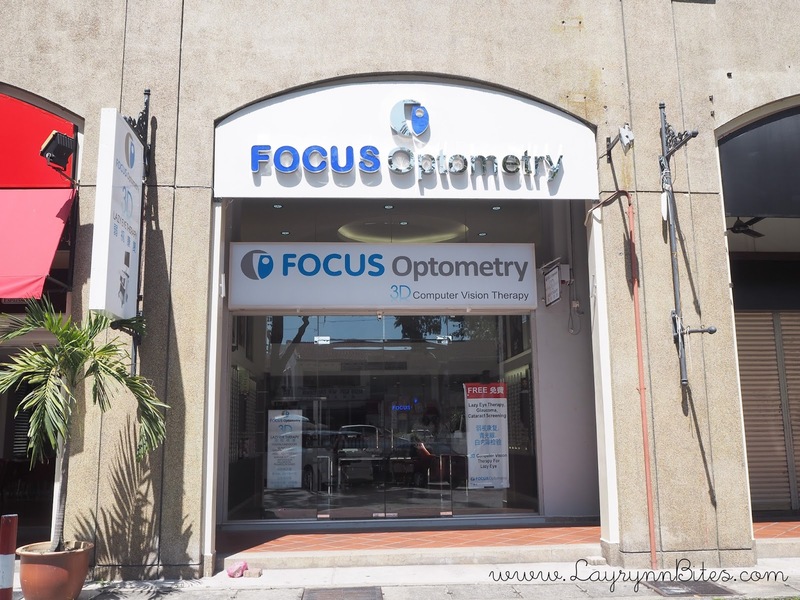 Valid for both outlet of Focus Optometry. I hope you learn something today as I did during the store tour.